The Western Digital Corporation WD Red and WD Red Pro NAS hard drives are designed for use in personal, home and small to medium business NAS systems. WD Red hard drives address the environment of NAS and the growing demand for compatible storage that reduces total cost of ownership. 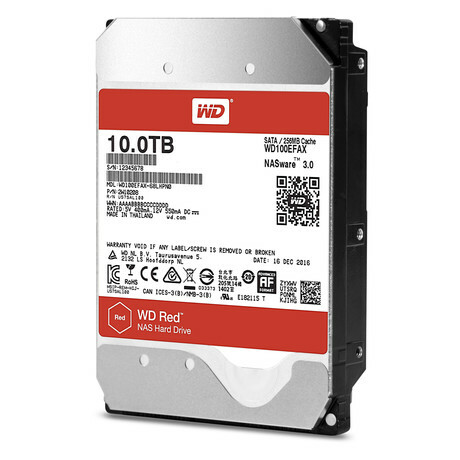 Designed with HelioSeal helium technology, the WD Red 10 TB hard drive provides high capacity and performance to meet the increasing storage needs of always-on, single-to-8-bay NAS systems. The helium-based design enables a 25% capacity increase from the WD Red 8 TB NAS storage drive. With support for up to 16 bays in tower, and rack-based systems, the WD Red Pro 10 TB hard drive delivers the same high performance and capacity to systems operating in up to 16-bay NAS systems. 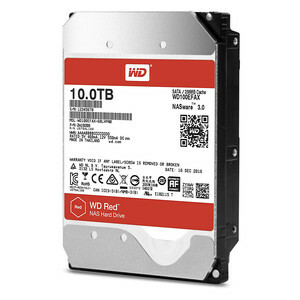 Features of both hard drives include HelioSeal technology in 10 TB capacity to the NAS storage market; 3D Active Balance Plus, an enhanced balance control technology that improves overall drive performance; NASware 3.0, designed to improve system performance, reduce customer downtime and simplify the integration process; and optimised performance class — 5400 RPM class for SOHO environments and 7200 RPM class for up to 16-bay NAS systems. 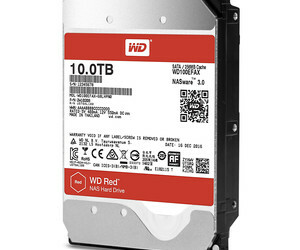 I am interested in Western Digital Corporation WD Red and WD Red Pro NAS hard drives .